With proven success in the field, we are now looking to take these programs to scale to boost food production while maintaining profitable farms, a safe environment and healthy people. Knaggs Ranch is a working farm outside of Sacramento in the California Central Valley, a region once dominated by marshes that flanked the Sacramento River and its tributaries. 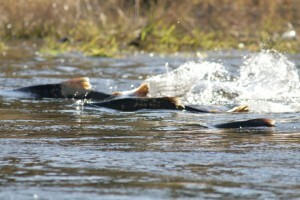 These marshes created vital seasonal floodplain habitat for fish like Chinook salmon and waterfowl. Today, only 5 percent of these floodplain habitats remain. As a result, numerous species have declined and California now faces the challenge of recovering these species, and the ecosystems on which they depend, while also maintaining productive agricultural lands. 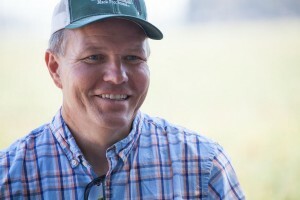 John Brennan is the farm manager for Knaggs Ranch, where a project is underway on the property’s rice fields in collaboration with California Trout and others to help keep water in the field to support salmon nurseries and to also provide beneficial habitat for water fowl and shore birds. 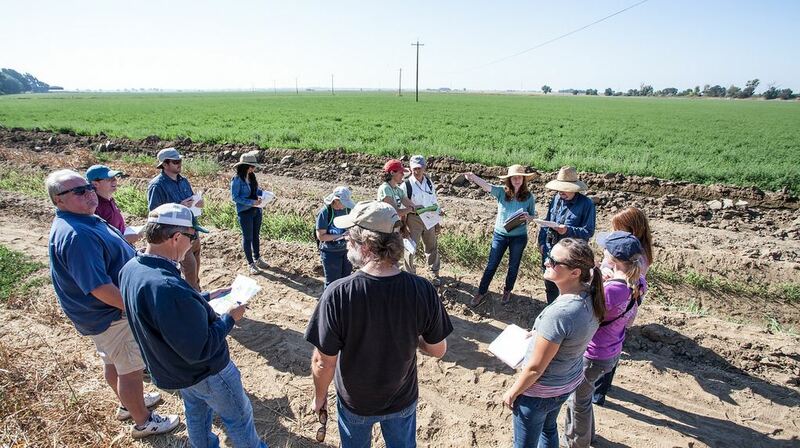 By adjusting land management on the farm to benefit species, John is generating conservation outcomes that he hopes can be sold as a commodity to private and public investors through the Central Valley Habitat Exchange. Potential investors include state agencies seeking credits to meet mitigation requirements or restoration mandates. John has been a committed partner to the Exchange because he believes it can be one of the best ways for production agriculture to accommodate native species. He also believes that once this knowledge is more readily available to other land managers, they will be more likely to make the conservation choice, since they will be rewarded for their efforts. “The Exchange has the potential to create economic incentives for growers and landowners, like myself, to maintain high quality wildlife habitat on our farms as well as to diversify our income beyond just farming,” John said. As we continue to explore the role the Exchange can play in recovering species populations and generating new revenue for farmers, we are also looking to expand the Central Valley Habitat Exchange to demonstrate that success can ultimately be achieved on a larger landscape scale and to benefit more species, such as the giant garter snake. Knaggs Ranch is already producing benefits for Chinook salmon, waterfowl and other species, but there is even more potential for this farm to earn conservation credits through other emerging environmental markets. This spring, the California Air Resources Board is expected to approve the first crop-based standards for rice farmers to generate carbon credits in California’s cap-and-trade market. John is already looking ahead to see if there are additional management practices that can earn him extra revenue for reducing greenhouse gas emissions on Knaggs Ranch rice fields. With the right incentives, farmers like John are recognizing the real earning potential of conservation programs and are willing partners in creating a more reliable and sustainable food supply. This entry was posted in Carbon Market, ecosystems, Habitat Exchange, Sustainable Agriculture, Wildlife Protection and tagged birds, california trout, central valley, central valley habitat exchange, Chinook salmon, conservation, farming, floodplain, garter snake, habitat exchange, habitat. california, john brennan, knaggs ranch, waterfowl. Bookmark the permalink. Both comments and trackbacks are currently closed.